While the catalogue of memorial gravestones here at AK Lander is extensive, it is understandable that some customers come to us with individual requests for memorial sites. AK Lander can produce almost any memorial you can think of. Should you not find what you want within our range of memorials, please fill out our enquiry form or call us on our Freephone number, and we will provide a bespoke quote. A bespoke memorial is undoubtedly one of the best and most unique ways to commemorate a life. Our bespoke memorial stones put every aspect of the design into your own hands, meaning that the result is exactly what your family member or friend would want. We can offer a wide range of materials, lettering, etching designs, and inscriptions to personalise your chosen memorial. Please see our material guide to the right for more information. Should you require a pattern, symbol or motif to be displayed on a headstone, we have a number of etching designs available; please note that those on our website are just a snippet of the full collection we can provide. We understand the importance of quality, which is why our etching designs are created using the technique of traditional sandblasting, offering a lasting finish of the highest degree. 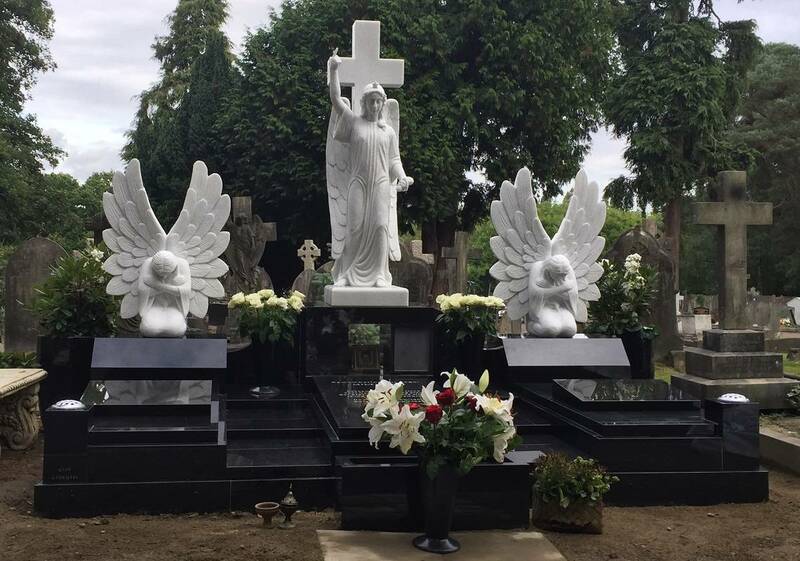 Should any design begin to erode or diminish over time, our memorial maintenance and gravestone restoration services can provide the perfect care. As well as this, every unique memorial comes with our unrivalled 50-year guarantee, giving peace of mind that any stones will be repaired or replaced in the uncommon event of poor craftsmanship or faulty material. If you have a design in mind and would like to turn it into a reality, you can use our contact form and submit your plans to our team of experts.